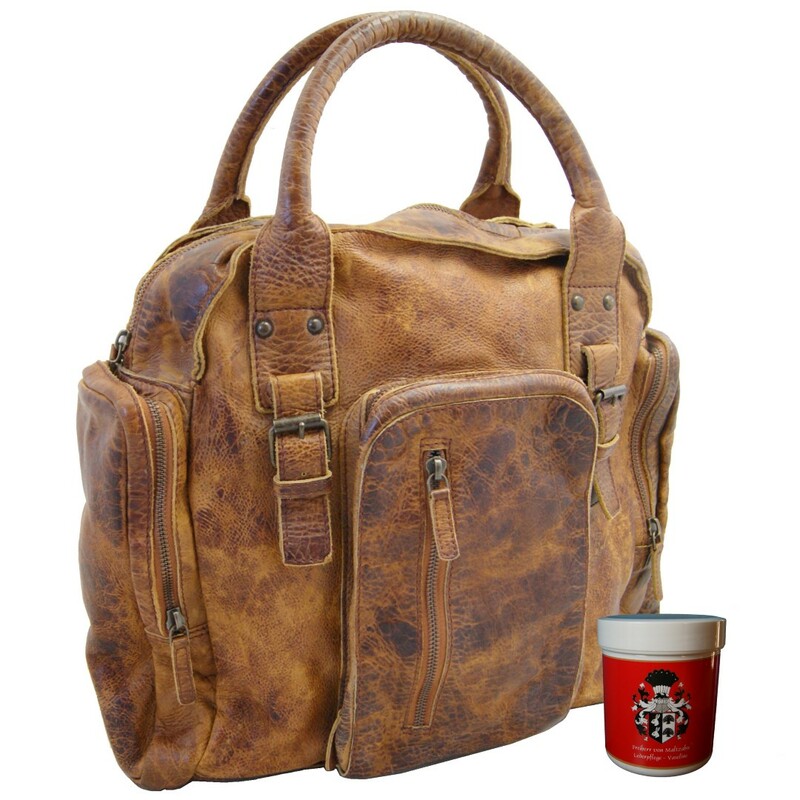 Product information "Briefcase JAGOS of brown rugged hide leather"
Get fascinated by the attractive and handy briefcase JAGOS made of brown rugged hide leather in vertical format: its design is exclusive and provides lots of space. 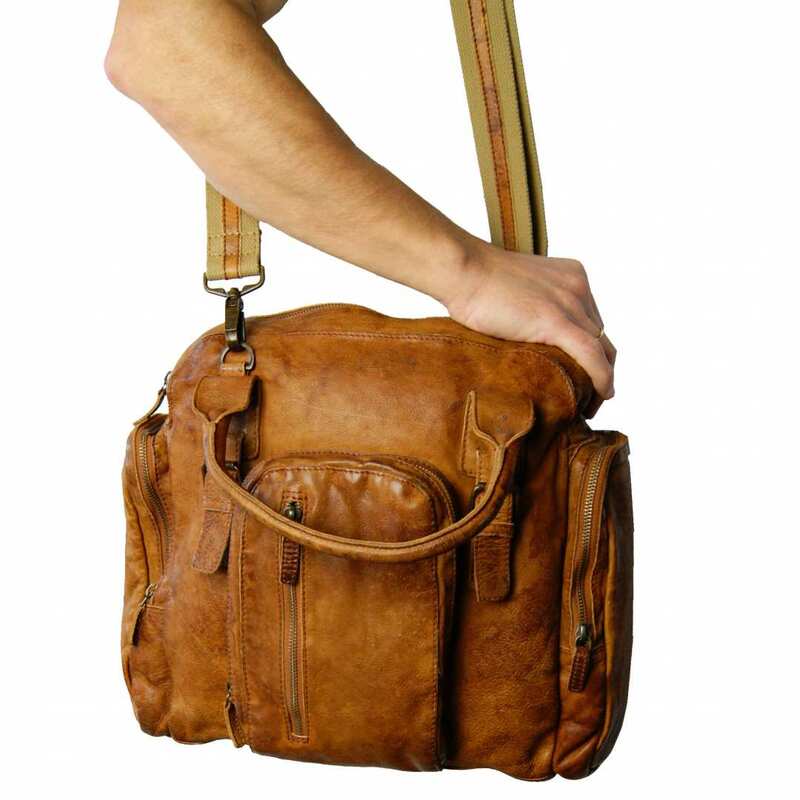 From the very first moment you will notice that the brown rugged hide leather bag is a very flamboyant model that catches all glances everywhere you take it. Carry this accessory proudly and confidently: with this bag you will always be under the spotlight. The briefcase of rugged hide leather offers you lots of space to keep your laptop, document binders and similar items well protected. Thanks to the practical inner organizer, many objects such as a mobile phone, stationery, a calculator or some cards will be ready to hand all the time. 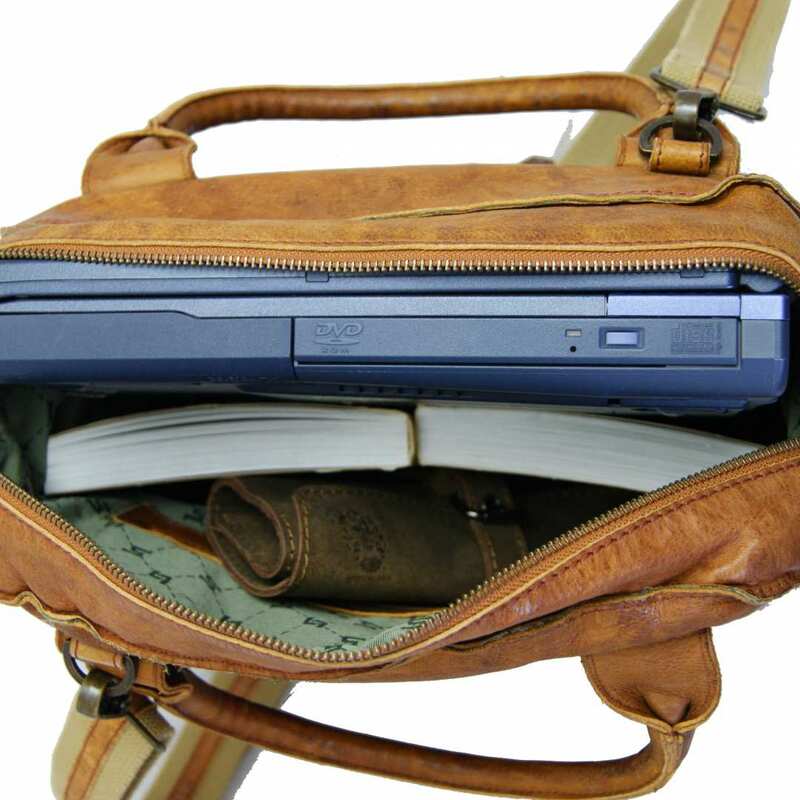 The laptop bag is also rounded up by two side pockets, a big zippered front compartment and another one on the back side. This briefcase has a size of 15.4 x 13.4 x 3.9 in (39 x 34 x 10 cm). This model is so sturdy that your joy will last a very long time. 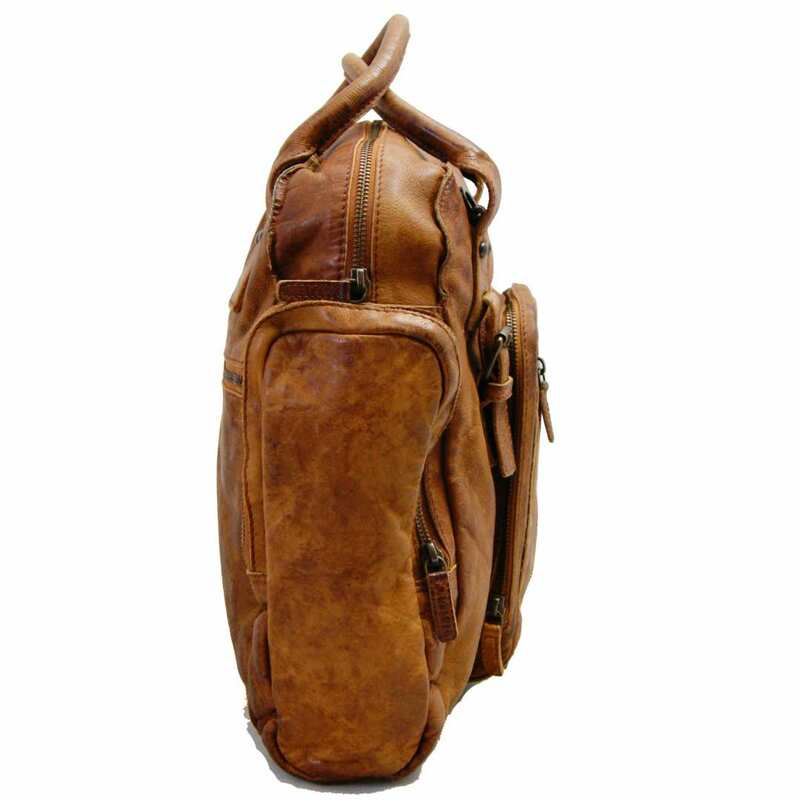 The bag is made of natural, unadulterated leather that has undergone a very special procedure and therefore developed the nice texture and appearance it shows. The ‘old and used’ look of the material makes this bag really unique. The solid metal fittings, the inner cotton lining and the smooth running zipper complete the fantastic look of the briefcase. 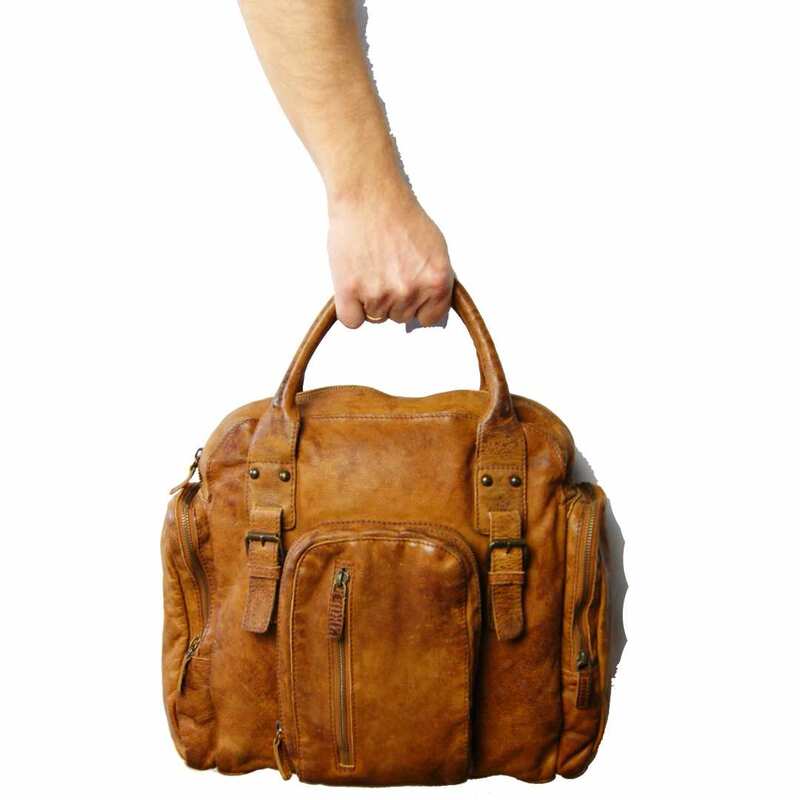 The brown briefcase made of rugged hide leather belongs to the exclusive collection of the designer BARON OF MALTZAHN. This model will convince you with its excellent processing and the high quality of the material. 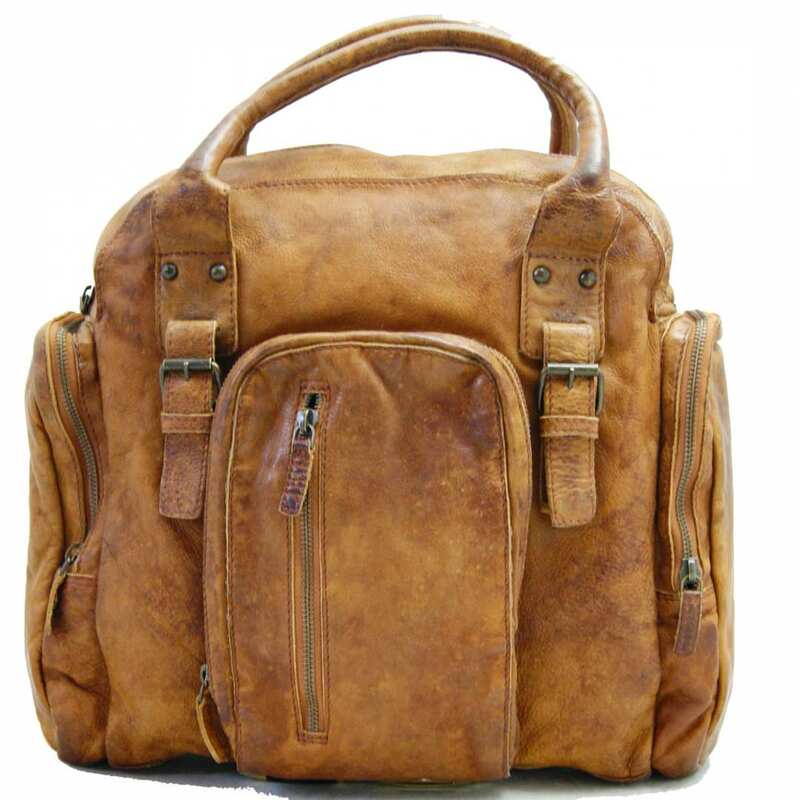 Functionality is another characteristic of this item: you will be able to carry lots of items comfortably in it while admiring its appearance. Order now and enjoy the company of this fantastic accessory! 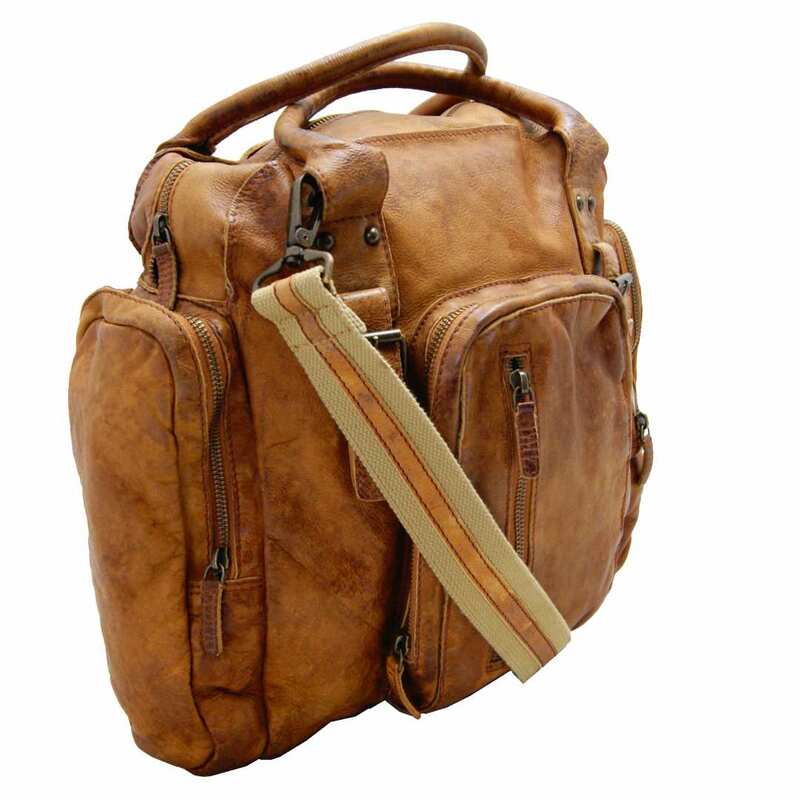 Reviews for "Briefcase JAGOS of brown rugged hide leather"